25%-75% Off Select Items & Costume Jewelry Grab Bags fro $3.00! Register To WIN a Harley! 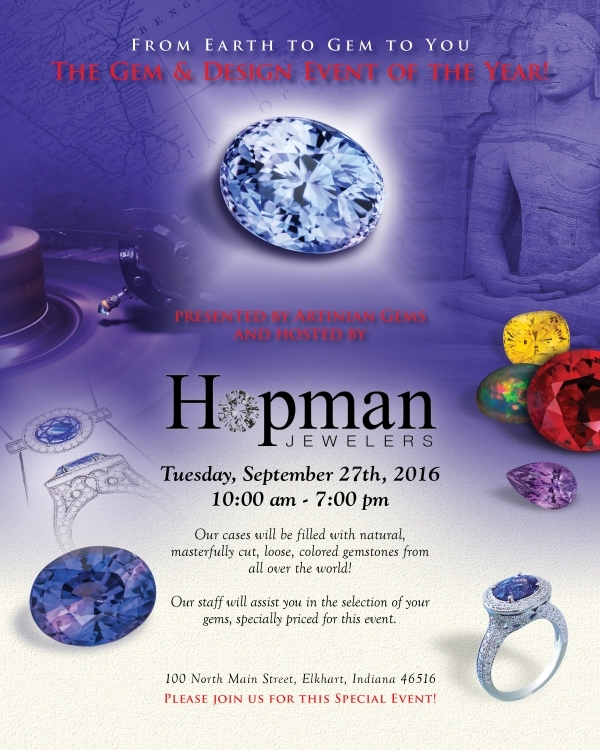 Join the fun at Hopman Jewelers! Check our EpicArtAdventures.com for more details and a map of all the sculptures throughtout Elkhart County! Remount Event! Contact us for additional COUPONS! Join us for a spectacler area of vivid colors and unique shapes at our 1st gem show!